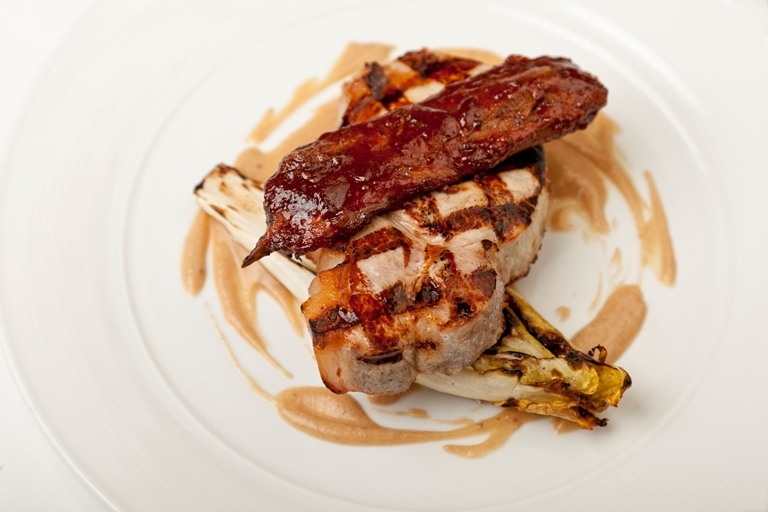 This magnificent barbecued pork chop recipe from Marcus Wareing is a wonderful combination of tastes and textures. Barbecued pork chops share the stage with tenderly cooked ribs coated with homemade barbecue sauce. Serve with endives and apple purée, as well as a good stash of napkins.